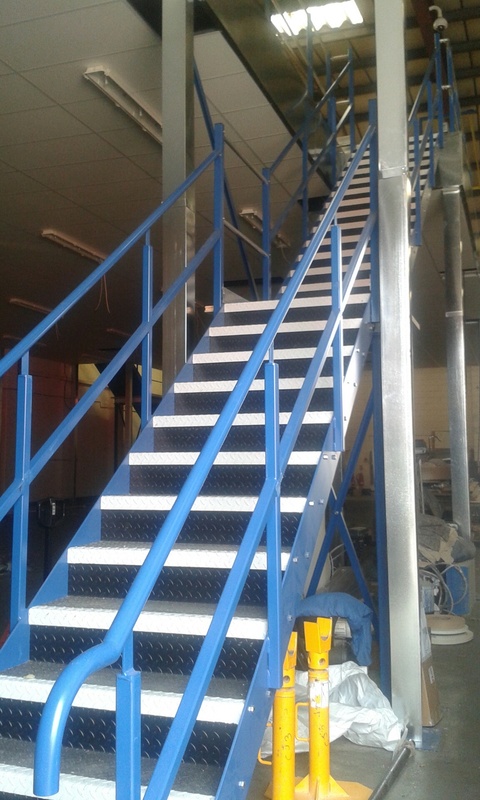 We can offer you a variety of staircases in an assortment of finishes to compliment your mezzanine floor. 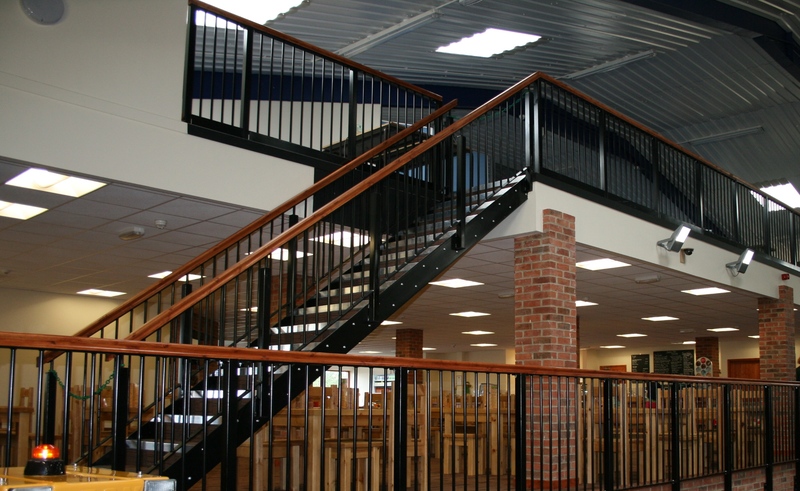 All or our staircases are built to current standards. 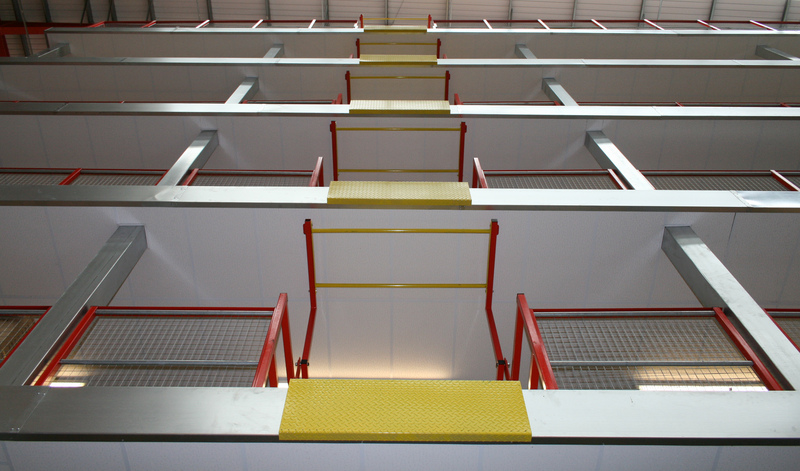 As part of our service we work with approved building inspectors to ensure the correct recommendations and installation of your stairs for your building, type and purpose. 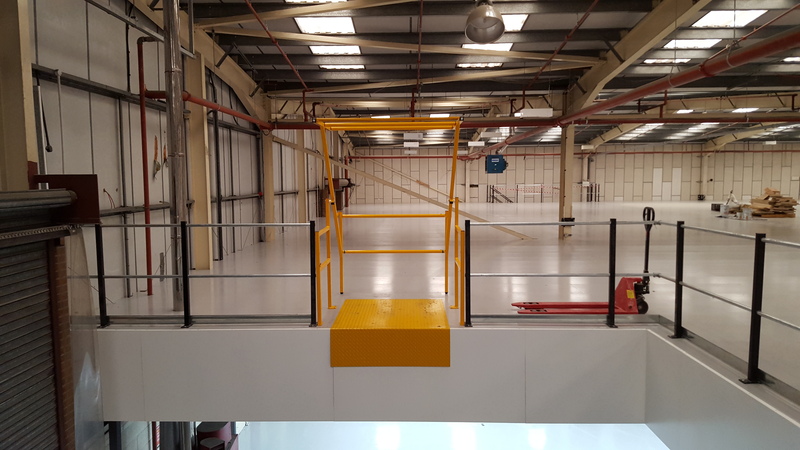 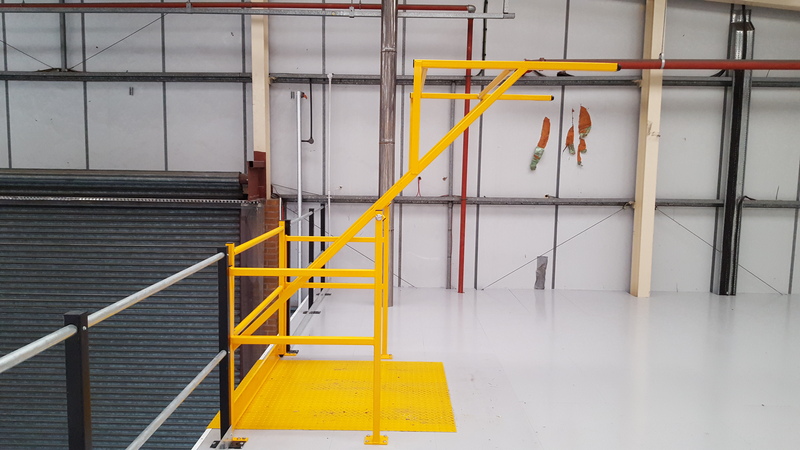 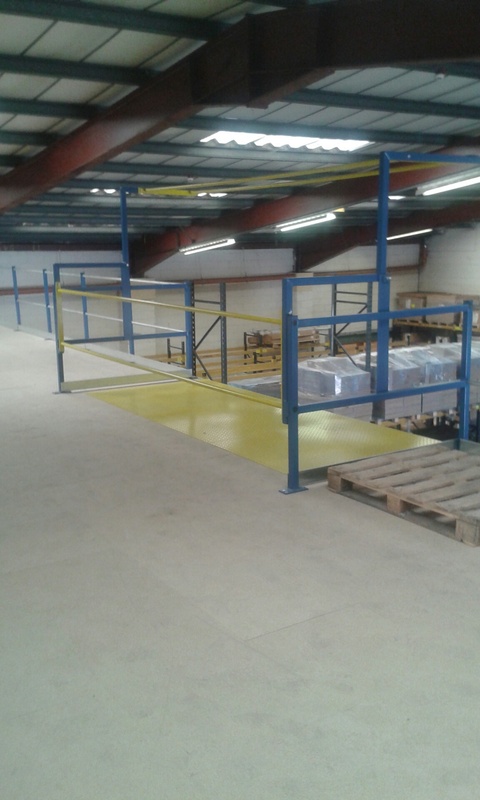 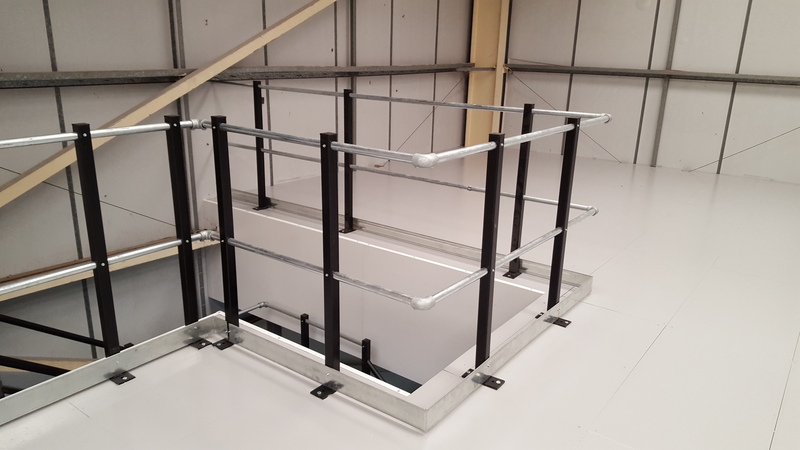 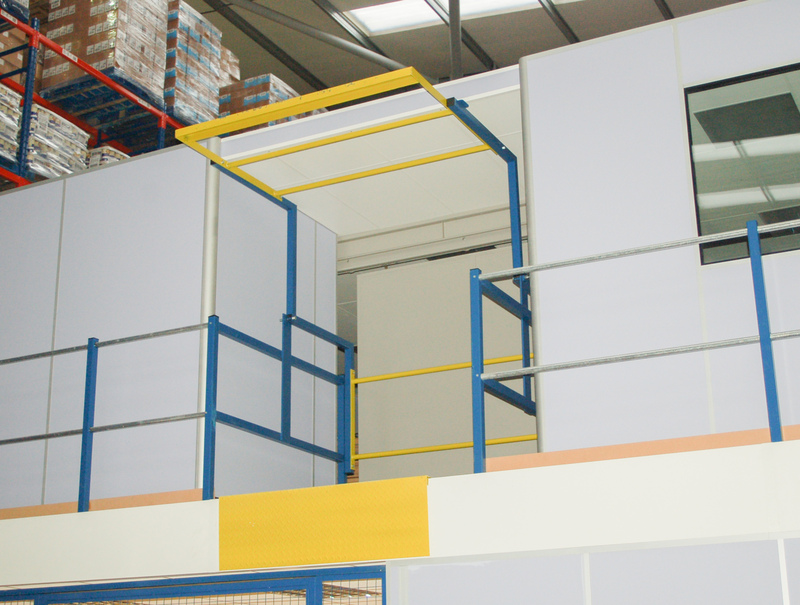 Our pallet gates enable you to put stock onto your mezzanine floor easily whilst complying with the latest health and safety regulations. 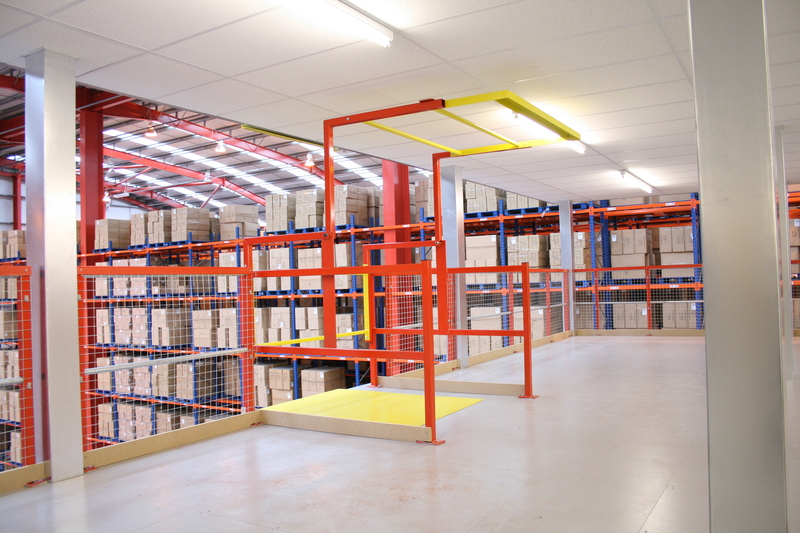 The Up & Over Pallet Gate is one of the most popular and is very cost effective. 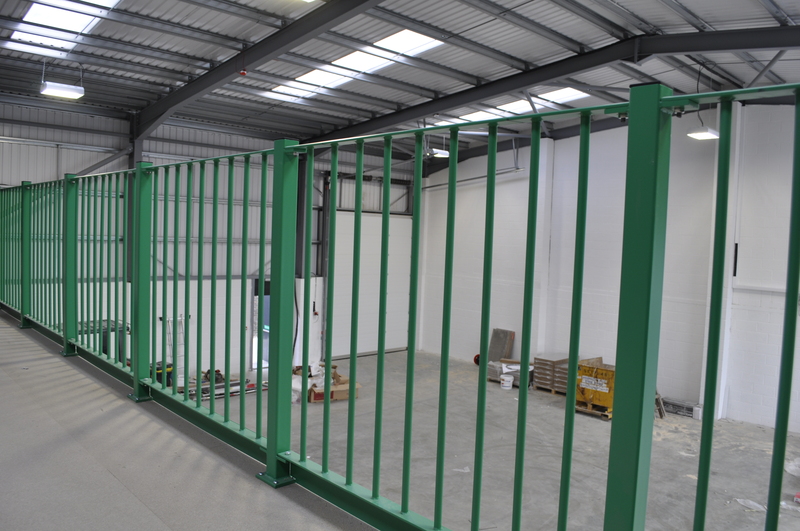 A bespoke pallet gate can be provided,such as an extra wide gate if this better suits your business needs. 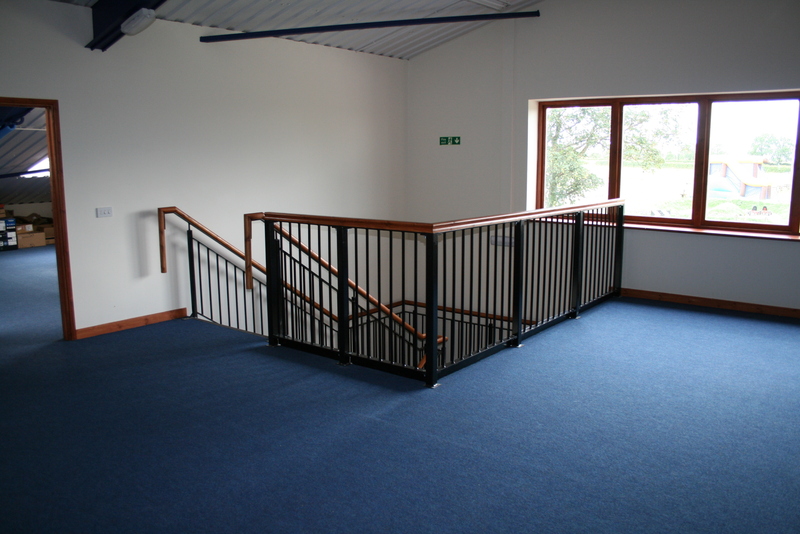 Our handrail is available in a range of options. 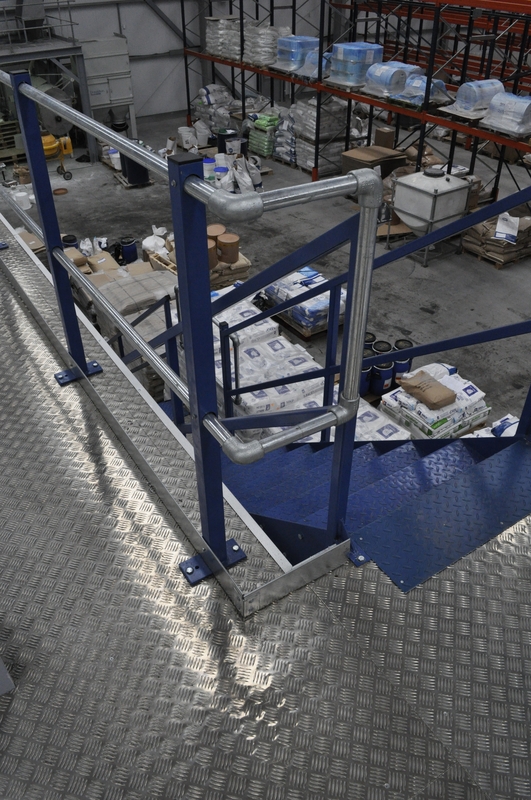 There is handrail with galvanised kickstrip which is economical and effective. 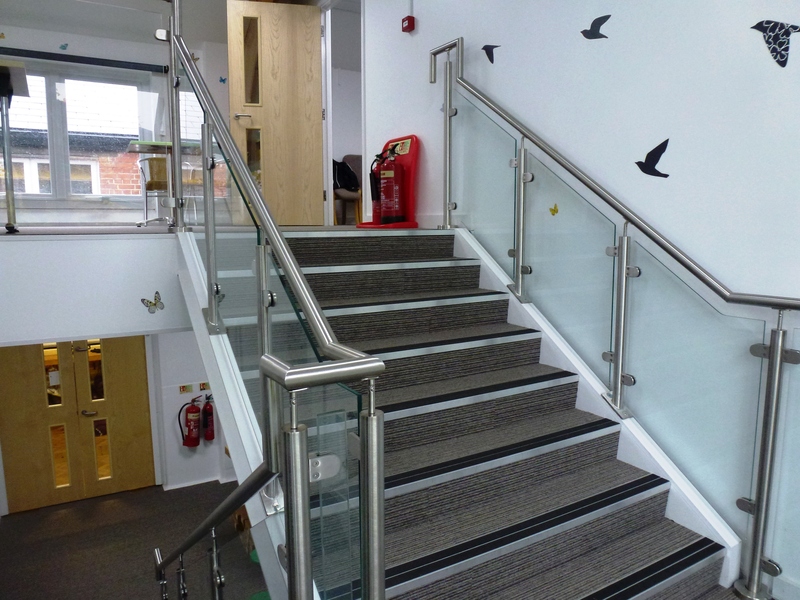 For additional safety there is a mesh handrail option to stop small boxes falling or for a more contemporary and attractive design there is the spindle handrail in a range of finishes.